Two of the three challengers in this year’s La Plata Electric Association board elections for La Plata County are firm advocates for researching the economics of a major move from fossil fuels to renewables, one which might mean a separation from the current energy provider, Tri-State Generation and Transmission. Tim Wheeler and Jeff Mannix want to put as much fossil fuel-generating power as possible behind us. Wheeler has a background in technology and retail and is a leader in advocating for locally-owned businesses. Additional renewable power could at least partially be created locally. Mannix wants to be more involved in community decision-making. The third, Gene Fisher, who has a degree in engineering and a background in plant and facilities management, takes a more measured position. They are opposing incumbents Karen Barger, Kohler McInnis and Britt Bassett for three year terms. The Herald’s editorial board endorses the incumbents. Acquiring and distributing electricity under federal and state rules is a complex business, and time in office makes a difference. McInnis, for example, has been representing LPEA on the Tri-State board, selected by his fellow board members. As importantly, The Herald believes that Bassett, McInnis and Barger have heard the community’s generally widespread enthusiasm for less fossil fuel and more renewables, and will themselves push for a thorough investigation of the pros and cons of opting out of the commitments to Tri-State and acquiring power from other sources. Their participation in that possible initiative, after three years on the board (six by Bassett), will give the results that much more credibility. Depending on your district, vote for Barger, McInnis and Bassett to continue their service and for all of the bylaw amendments to improve LPEA operations. There are several drop-off boxes for ballots, which are due by Friday afternoon, May 11. 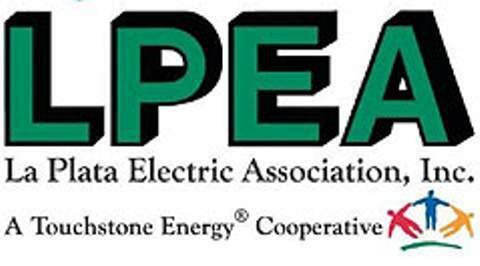 LPEA’s annual meeting is Saturday morning the 12th at Sky Ute Casino and Resort in Ignacio.